In 1971, I was in the Boy Scouts Troop 1756, in Fishkill, NY. This troop number came from the year that the church sponsoring this troop was built–Trinity Episcopal Church. This church played an important role in the local history of the Revolutionary War. History tells us that this church served as a prisoner some of the times, and as a hospital when the beds were short at the main encampment site located about a mile to the south. Like its neighbor the Dutch Reformed Protestant Church, this church was also a place for worship, baptisms, marriages and burials. During my years as a Boy Scout at this church, activities took place in the meeting hall just behind the church on Route 9. The main entrance to this church was on the crossroad intersecting with Route 9 just to the north of the meeting hall, Route 52. These two crossroads were the main thoroughfares at the time during the colonial period of this hamlet’s history. What is now Route 9 led its travellers up to Albany and was called the Old Post Road. Back in 1756, this road did not take a direct north pass towards Albany but instead curved to the left, took you through the village, and then turned right at the west edge of the main downtown area, recommencing its northward travels by passing over a landmark that later came to be known as Osborne Hill. The Osborn Hill radway took you north for a half a mile and then gave you the option of heading westward towards the Hudson River or continuing to travel north towards Albany. At this intersection resided a physician who served in the Revolutionary War and was active at the encampment site where soldiers stayed about 2 or 3 miles to the south and east of his home. During the early 1970s I recall participating in this re-enactment event with the Boy Scouts in which Enoch Crosby, the famous spy of this little town, was captured, brought to gaol (Trinity church), and from there wa allowed to speak with the local sheriff who connected him up with the local governmental officials for special inquiry. This was the manner in which Enoch revealed some of his secret messages to the local military about what events were taking place to the south closer to New York City where the British were residing. Due to a band of Loyalists residing in the area to the south of this part of the valley, Enoch had plenty of opportunity to keep up with the news about the War from both sides of the battleline. Once he had shared his learnings with the officers residing in and around the Fishkill Village, once night began Enoch was allowed to escape from his prison by jumping through the window so he could make his way back south to learn more about the British plans and continue his espionage activities as a patriot. This famous story of Enoch Crosby was first published in a small book by a local retired officer, and was later retold by James Fenimore Cooper in his novel The Spy. In 1971/2, I became involved with an archeological dig to take place in some of the fields just south of the Trinity Church meeting house. This site was located just across from the Van Wyck mansion located a little to the south at the junction of Route 84. The plans were to develop this open plot of land into a large shopping mall. Local historians wanted to preserve this site and prevent such developments as much as possible due to the importance of this place in the Revolutionary War. In particular, with the upcoming bicentennial event in the works for 1976, we all expected that somehow we would be able to preserve this part of the local history to tell to others and try to engage them in this preservation process. Nothing really happened unfortunately with those plans. In January of 1974, this site received the recognition it deserved for being an encampment site important to the local history of the War, but few people understood the important role that Fishkill played in any part of the war. 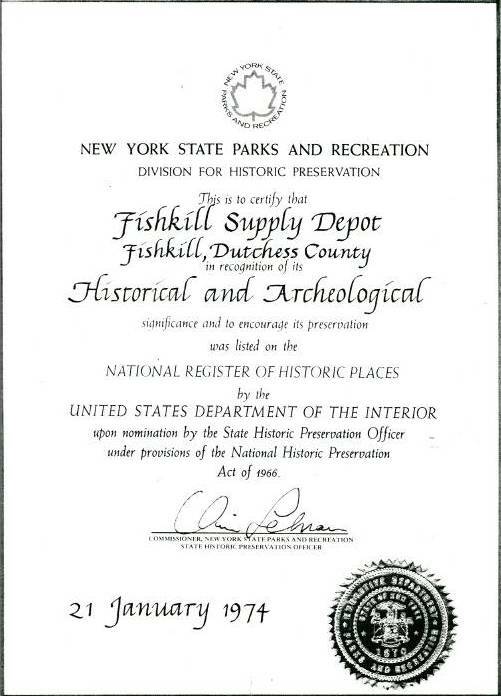 Just two years earlier, the archeological digs at this site were taking palce, under the direction of the Assistant Scoutmaster of my troop Dr. Felix Scardapane, Sr. Dr. Scardepane is the author of a letter sent about this time asking for the preservation of the Fishkill Encmapment site. (This letter is currently posted by the Fishkill Depot Site group.) This archeological dig we were engaged in seemed pretty small in terms of the size of the area that needed to be surveyed, inspected and the results analyzed. 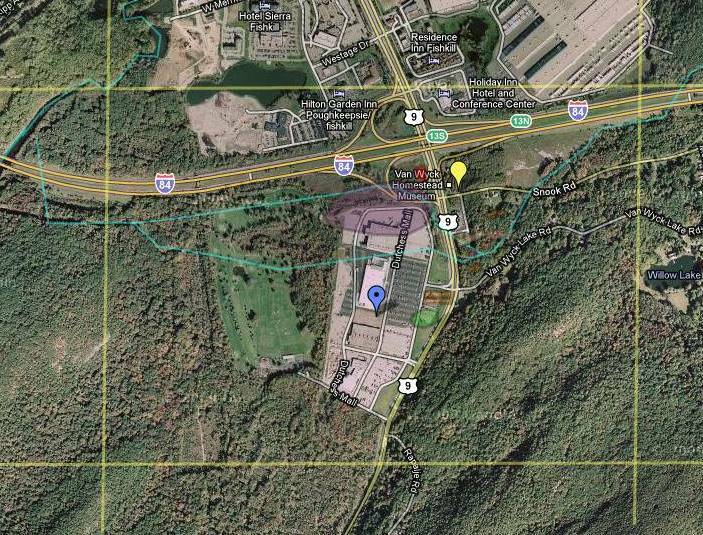 Even so, specific locations were selected across the large area set up for the mall and parking lot development and official archeological digs initiated. This archeological digs resulted in the recovery of a a number of artifacts, which were used to document the importance of this location in the overall history of Revolutionary War. These were for the most part typical archeological remnains such as buttons, buckles, coinage and pieces of unidentifiable metalform bric-a-brac. These items documented what was then known about this location in terms of its War-related efforts, but still only a small part of the entire story for this site was then unearthed. For me it was back to0 the libraries and local history books in order to learn some more about this important pience of local history. In Fall of 1976, I began attending college at Stony Brook University on Long Island. During my years of stay on campus I would tell my roommates, who were all from the major core and immediate suburbs of New York City, about my experiences with the local historical sites. As urbanites they seemed to be more interested in things like my experiences camping, canoeing, hiking, fishing, bowfishing, and of all things, catching snapping turtles with my own bare hands. Several times each year we would drive up to the Dutchess County region for the weekend just so I could show them some of these places I once frequented, and introduce them to some of my “backwoods friends,” so to speak. In my last year at Stony Brook, I was making my way through its main library (which I never frequented sicne I was a science major making use of the science library elsewhere on campus), and by mistake happened by some local history materials and a set of yearbooks published by the Dutchess County Historical Society during the early 1900s. Going through these books, I came upon an article about Dr. Cornelius Osborn and his manuscript that had just been donated to the Historical Society sometime around 1920. Having grown up just north of this hill, very familiar with the woodlands and environment surrounding this location, I recognized a number of the plants referred to in Osborn’s recipes. That renewed my interest in the local history of Dutchess County and its importance during the Colonial and Revolutionary War years. I spent the next year hunting down the location of that manuscript, and once I found it, photographed it on several occasions during the years to come and spent much of my spare time deciphering the recipes in this fairly old leather-bound manuscript kept at the Adriance Library. I published my first interpretation of the manuscript in the Historical Society’s Yearbook in 1993, which was mostly devoted to just the pharmacy related parts of Osborn’s mansucript, but continued this work in order to better understand the teachings and philosophy of medicine for this period of time in American history. During this time I included my findings of this work in the classes I began teaching in 1989 at Portland State University, Portland, Oregon, and presented some of these unique tales yearly at the Annual meetings held by the Oregon Academy of Sciences, as one of the first members of its History of Science and Medicine section. Over the next few years I purchased most of the books Osborn cited in his writing and spent a lot of time learning about the history of the Revolutionary War as it pertained to the history of the Hudson Valley. Since my childhood years, residing a little north of Osborn Hill Road at the border of Fishkill and Wappingers Fall just off Route 9, there were several things about the local history of Fishkill and the War that stood out. The first of course was the placement of George Washington’s Headquarters just across the Hudson River. The second was the role Mount Beacon played in the signalling of British ships down by New York and West Point during the initial years of the War. The third most important part of this local history to me was the role the local encampment as a place for soldiers to stay whilst awaiting their next duty, as the site where all the clothing and artillery-related stores were kept, and the site for an important field hospital where the soldiers injured during the Battle of White Plains were treated, and the place where Dr. Osborn handed out his own form of medical care as a Regimental Physician and member of the Committee for Safety against Conspiracies. The village of Fishkill also had a number of other places we all came to know and learn about over the years. The first was the workplace of Publisher and Printer Samuel Loudon, who left New York City at the dawn ofthe War and printed the New York newspaper out of Fishkill, as well as copies of the state and federal documents, the state’s paper currency, and a number of books used by the local churches and schools. Down the road further west from Loudon’s building was the site where George Washington’s Sword was hammered and beveled by the local blacksmith. Also on this street there was a hotel and restaurant, the Dutch Reformed Church where important meetings were sometimes held, the Trinity Episcopal Church where Enoch Crosby was “gaoled” and then allowed to escape to continue his services as a spy (later, converted to the main character in the famous Cooper Novel The Spy), and on at least one occasion this is where the soldiers infected by small pox had to be quarantined. Continuing in the direction heading eastward towards Connecticut, along this roadway there were Colonel Abraham Brinckerhoof’s house, where famous Generals and International travellers and battle experts like the Marquis de Lafayette stayed, and Jacobus Swartout’s home, who was in charge of the regiments two of Dr. Osborn’s sons were serving in. 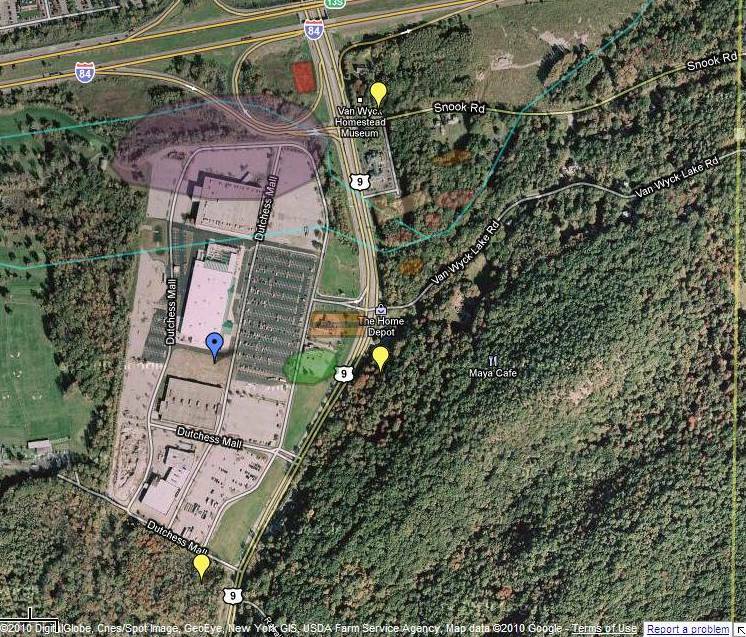 In the map below, there are various uses noted for the land south of Fishkill Village. I know from my research of Dr. Osborn that Matthew Dubois and Cornelius Osborn were both engaged in brewing ales for the village and the military. Just north of the village on the hill where Dr. Osborn lived was his barn, in which he prepared some of his more interesting medicines using a distillery and some brewing equipment, said to be still standing there in a much later land deed written up about a neighbor’s plot of land. Osborn’s humble abode served as a place for meetings of Committee of Safety Against Conspiracies to be held. Dr. Osborn also kept some of the more important medical tools and implements at this place for their Safety, being a chief member of the Committee of Safety. Whenever there were individuals with special medical needs, they were allowed to stay at his place, like Dr. Prosser, a physician leaning more towards the loyalist side but in need of special medical services, and Enoch Crosby when he used this place to make his next connection to pass on some private information as a spy. Between 1971 and 2001, the passage of thirty years of time, I found that much of the local history of the Fishkill village was rarely recounted with any of the enthusiasm seen during the pre-bicentennial years. It was during these next two decades that I reviewed the medical history of the Fishkill Revolutionary War encampment, researched its hospital and depot setting, and decided to continue and ultimately complete my work on this project at little to no support financial support from any of the local ivy league colleges of this region or research grant facilities. This is probably because I spent 17 of these years researching and teaching my findings at a university on the west coast. Fortunately, the Internet was born during these years, followed by the World Wide Web. In recent years I noticed the activities taken on behalf of small groups devoted to local Revolutionary War history have helped to revitalize the programs we need to recpature this importance piece of local history. The Fishkill Supply Depot site is the only site to provide us with a complete story about medicine during the Revolutionary War. First initiated by Scardapane and others back in the 1970s, this work makes the Fishkill site important as George Washington’s primary and strategically placed encampment, hospital, supply depot and training site, not a battlefield. The notes posted in this section are those pertaining to the work I did in order to develop an argument for saving this Fishkill Revolutionary War Site.